Case Studies | Eolas Biosciences Co. Ltd. 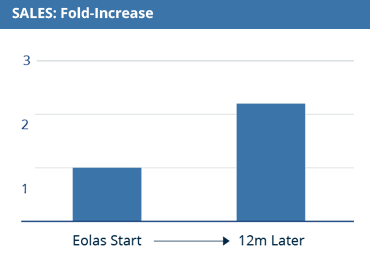 Some examples of the results we have delivered for our overseas partners are presented below. 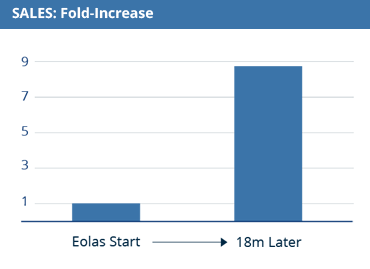 Cases where the partner had sales and marketing activities in Japan prior to engaging Eolas have been selected in order to enable a before-and-after comparison. The business consisted of specialized gene expression analysis services with applications in the target validation and toxicology areas. The company had worked with another Japanese representative for over 3 years, but had become increasingly frustrated with poor sales results, and a seemingly lukewarm commitment to the business. 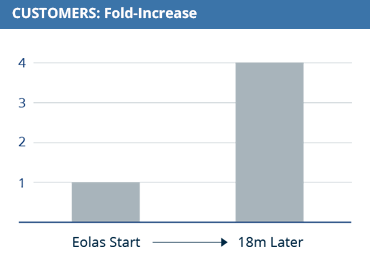 Within 18 months of assuming responsibility for this business, Eolas succeeded in quadrupling the customer base and increasing business by almost 9-fold, representing an annual sales value of ~1.5 million USD. The business consisted of compound evaluation services using a portfolio of cell-based disease models. The company had attempted to establish its business in Japan by regularly sending staff to Japanese pharma companies and tradeshows. It was assisted in this by a local firm hired to arrange meetings and domestic travel. 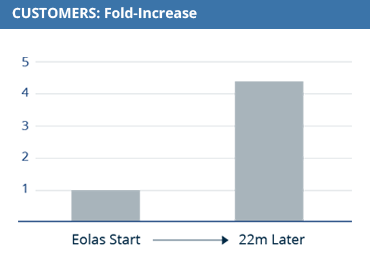 This strategy yielded only mediocre sales results and after two and a half years, the company realized a local partner who understood the industry and how to get business done was needed to maximize sales. 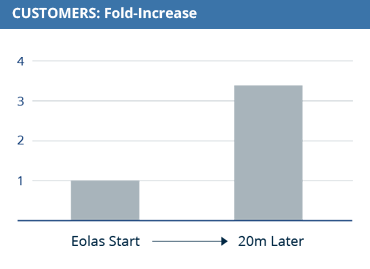 Within 20 months of assuming responsibility for this business, Eolas succeeded in tripling the number of customers, and increasing business by over 4-fold, representing an annual sales value of ~1 million USD. The product offering consisted of quality human biomaterials suitable for drug discovery and biomarker research. The sales environment was very competitive and the biobank had partnered with a large industry player to carry out sales and marketing to Japanese pharma companies. However, 3 years into the relationship, sales were substantially below expectations. In addition, communications were poor and the biobank had only a vague idea of what business development activities had been carried out on its behalf, or were planned for the future. 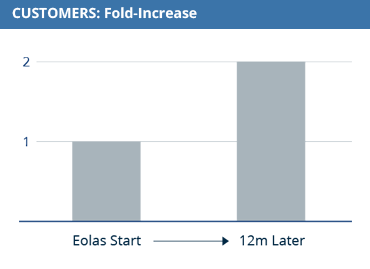 Within 22 months of assuming responsibility for this business, Eolas succeeded in quadrupling the customer base and increasing business by almost 4-fold, representing an annual sales value of ~1 million USD. 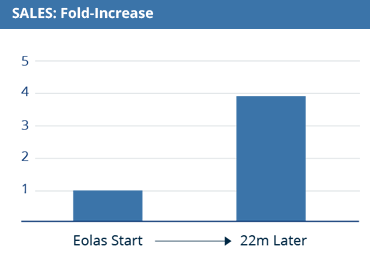 Within 12 months of assuming responsibility for this business, Eolas succeeded in increasing both customers and sales by 2-fold as compared against the previous fiscal year.